The sliding process is smooth as panels slide on rollers fixed along the track for a smooth closing and opening action for years. Alternatively, external stacking doors can slide on an outside track to prevent water from collecting on the inside track. 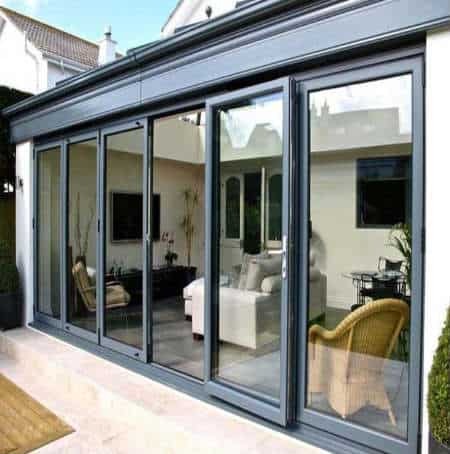 The doors are fully interlocked to deliver the best security and weather protection possible above giving you the maximum door opening achievable for sufficient light and air circulation, illuminating and refreshing your home always. 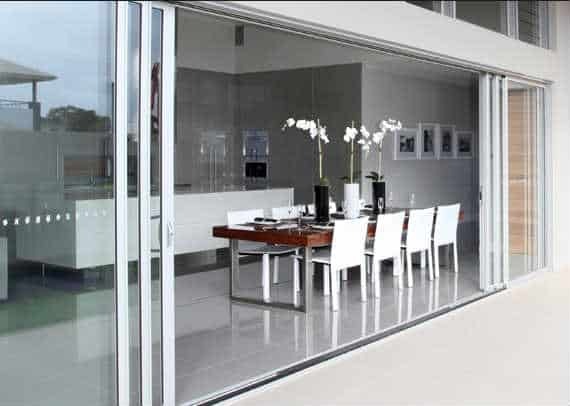 Create that exciting indoor/outdoor space in your home by installing CVDglass aluminium stacker doors in your home. You can choose among multiple options from different colours, sizes, and panel designs and achieve that ultimate control to create expansive space in your home. With over 13 years of experience and a team of committed experts, be sure that you will get the best CVDglass has to offer. Our aluminium stacker doors are structurally sound and durable with a long life expectancy, meeting all Australian standard testing requirements to ensure that you get satisfying results. With us, you always get the best. Our aluminium stacker doors can be opened to a great deal giving you an opportunity to let a lot of natural light into your home. Even without opening them they will still make your home brighter as instead of having a concrete wall, you will have a glass one. This saves you on artificial lighting costs.